NAPE is where your business needs to be. Let’s be frank: There is no shortage of conventions, expos and events in the oil and gas industry. But if you compete in the upstream oil and gas business, NAPE offers you an unparalleled opportunity to meet decision makers in an environment that is fun, energetic and, most of all, serious about getting business done. 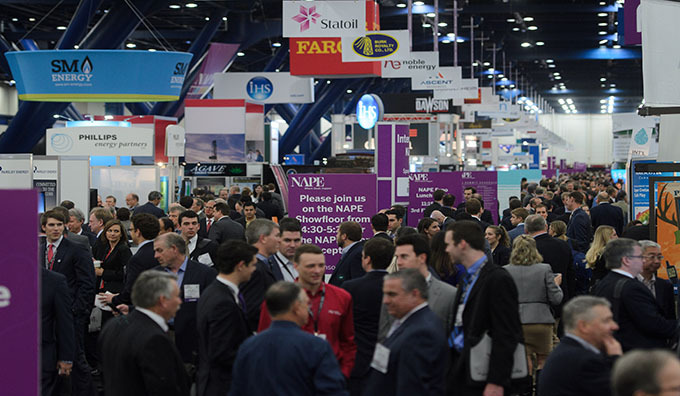 Our annual NAPE Summit brings together prospects, vendors and decision makers who expect to see the industry’s latest and greatest plays, products and services. We offer a variety of sponsorships, booth sizes and advertising opportunities that are designed to put your company in front of the right people. Whether you’re interested in exhibiting, sponsoring, advertising — or all three — talk to us today at exhibit@napeexpo.com. Prospect/Property Exhibitors may use the booth space only to show or discuss Prospects/Producing Properties and not to market products or services or for other business purposes. Capital Market Exhibitors may use the booth space only to provide information about your company and the energy capital transactions made available through your company and not to market other products or services or for other business purposes. Vendor/Service Exhibitors may use the booth space only to provide information about your company and the products and services available through your company and not to market other products or services or for other business purposes. One 8’ background drape, 3’ side drapes, and one wastebasket. A single one-line 7” X 44” identification sign which displays Exhibitor’s name as registered with NAPE Expo LP. Please note that attendee registrations and furniture/electrical services are not included with booth fees but can be purchased through our vendors. Please visit the Exhibitor Toolkit for details. This year’s expo will draw thousands of attendees and hundreds of exhibitors. If there’s prospect, product or service to be bought or sold in the upstream oil and gas business, you’ll find it at our expo. The Global Business Conference invites leading executives, experts and speakers to examine E&P trends, legislative and regulatory challenges, technical advances and other topics of interest. 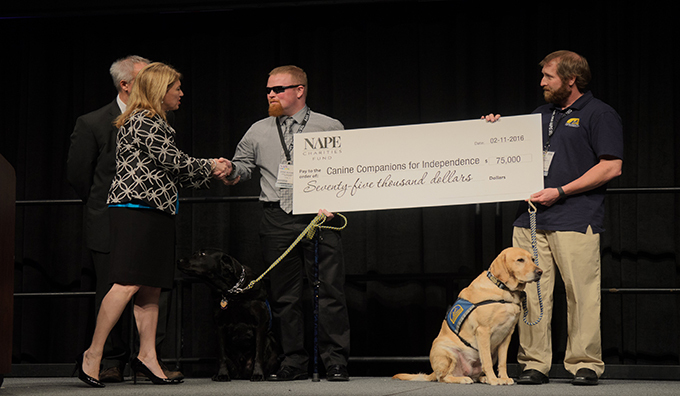 Started in 2009, the NAPE Charities Luncheon has distributed millions of dollars to help support a variety of charitable organizations. 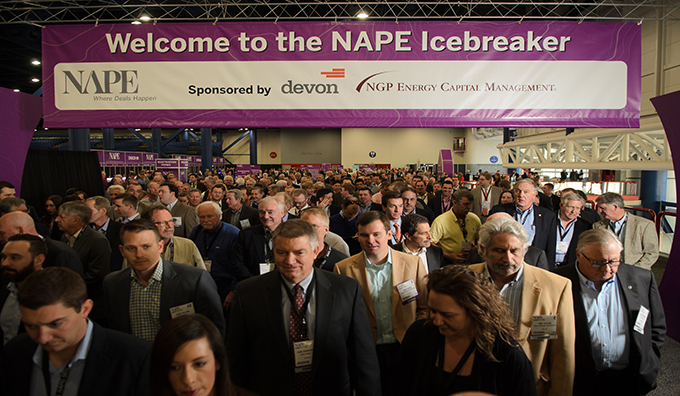 Attendees and Exhibitors mix and mingle at NAPE’s renowned networking event — the Icebreaker. 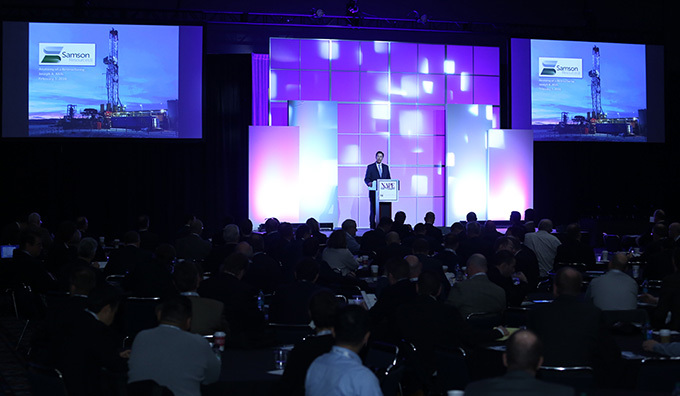 Join thousands of oil and gas professionals as they initiate the process of making deals happen. 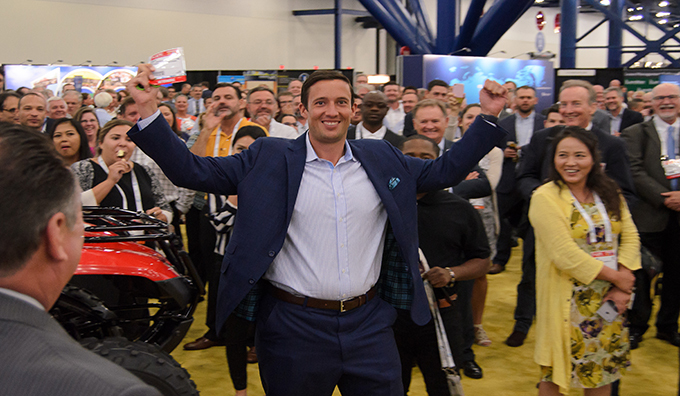 Prospect Previews offer exhibiting companies the limelight to showcase their prospects or undeveloped lease and minerals on stage to expo floor attendees and then return to their booth to continue making deals. 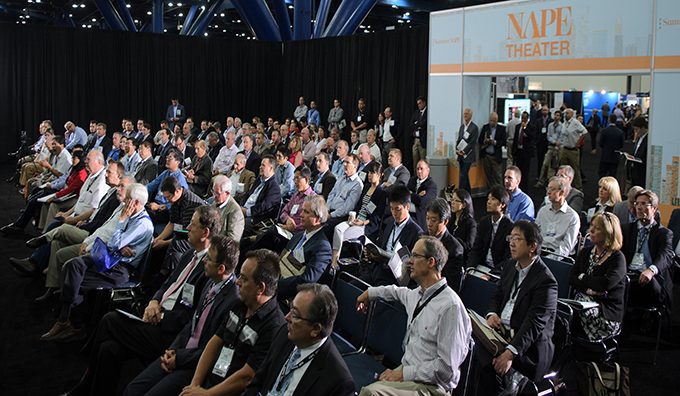 The NAPE Theater will feature short presentations where exhibiting companies looking to maximize their exposure preview their services to NAPE attendees. 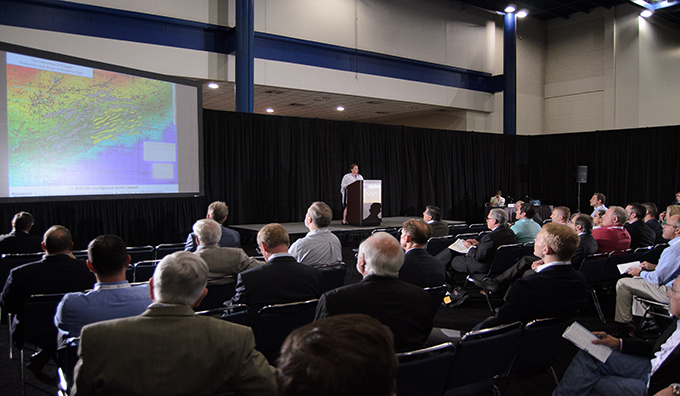 Education events have been appended to our traditional NAPE Summit Expo and Business Conference schedule, adding value to your time in Houston. 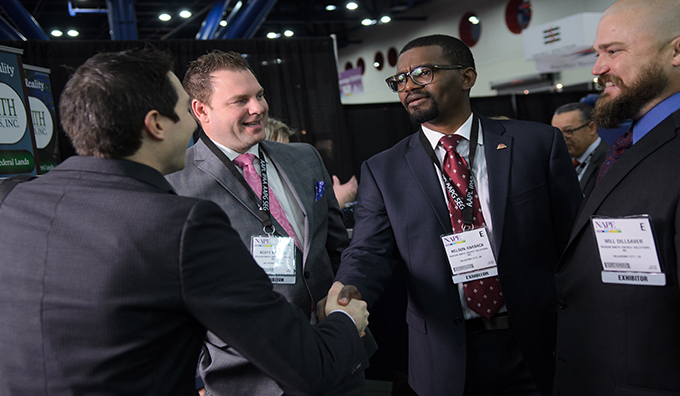 The Job Fair is NAPE's proactive approach to providing a private environment for job seekers to engage with the right personnel from companies looking to hire as the industry rebounds. What better way to recruit than at NAPE! 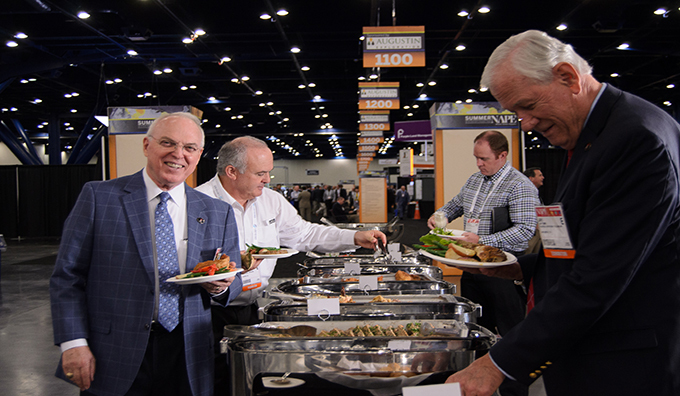 Enjoy lunch on Thursday and brunch on Friday provided by NAPE! Stick around on Friday to see if you've won the sweepstakes! NEW! 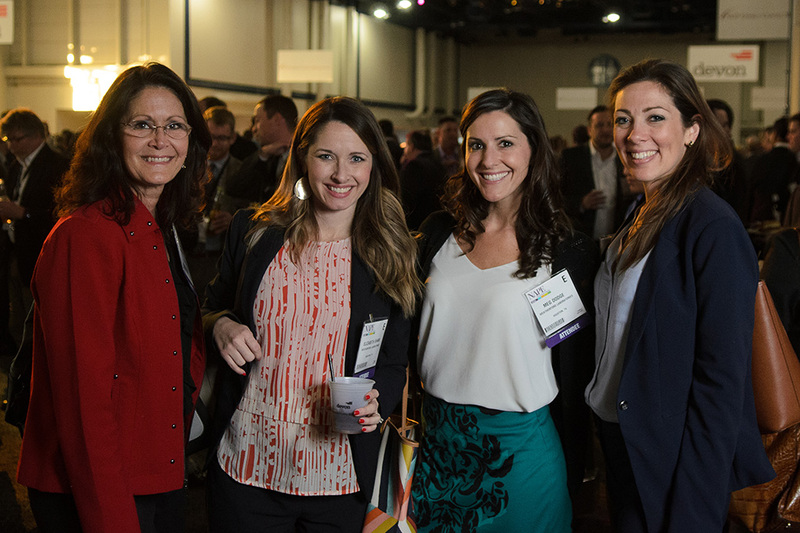 Introducing Connections & Conversations: Women in Energy – a networking event for all women in all aspects and levels of the oil and gas industry. Upload your prospect information and company description to be included in the show guide and mobile app. Get the best location. Booth assignment and placement is based on booth size, sponsorships, date of reservation and other factors. Find out about our Priority Point System and how you can get the best placement possible.